Last week, within a 24-hour period, we had 5 separate spills that caused big messes at our house. One was the shattering of a quart size jar of homemade elderberry syrup, another involved tomato sauce on a wall, and yet another involved mashed sweet potatoes painted on the side of our Berkey filter. Needless to say, our home is very rarely clean for more than a few minutes at a time and this week was no exception. 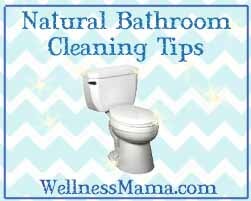 Thank goodness for natural cleaning products that actually work or I very well may have been drinking wine by early afternoon on those days. 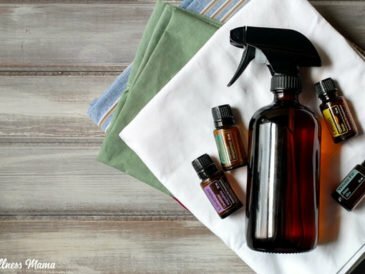 I love this homemade all-purpose cleaning spray, but there is some controversy over the use of Borax, especially around eating surfaces. 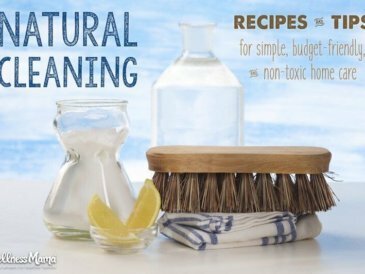 Personally, I think Borax is still a really safe option, especially compared to the ingredients in most conventional cleaning products, but I wanted to make another natural cleaner that truly was safe enough to drink. My 18-month old is at the age of wanting to “help” and this is a cleaning spray I feel completely comfortable with her using. I usually spritz this on a microfiber or a huck towel and let her “clean” the cabinets. All of the ingredients are completely safe and even ingestible (depending on who you ask). I just used filtered water, non-GMO white vinegar and food grade lemon and basil essential oils (both generally considered safe for ingesting when diluted). 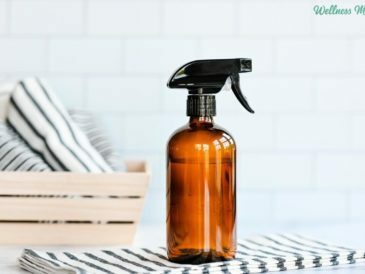 One word of caution: when using essential oils, it is important to use a glass bottle whenever possible since some oils will break down the plastic and cause it to leach chemicals into the cleaning spray. I used this glass bottle in the picture above, but I’ve also made my own out of an old vinegar bottle and a spray top. 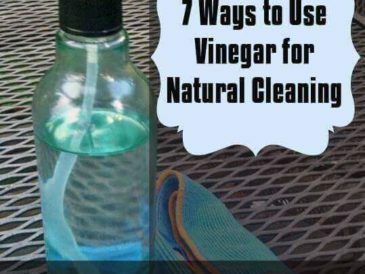 Combine all ingredients in glass spray bottle and use as needed for household cleaning. Works well on windows and stainless steel as well as flat surfaces like tile and counters. Customize essential oils to your preference by adding more, less or even omitting completely. 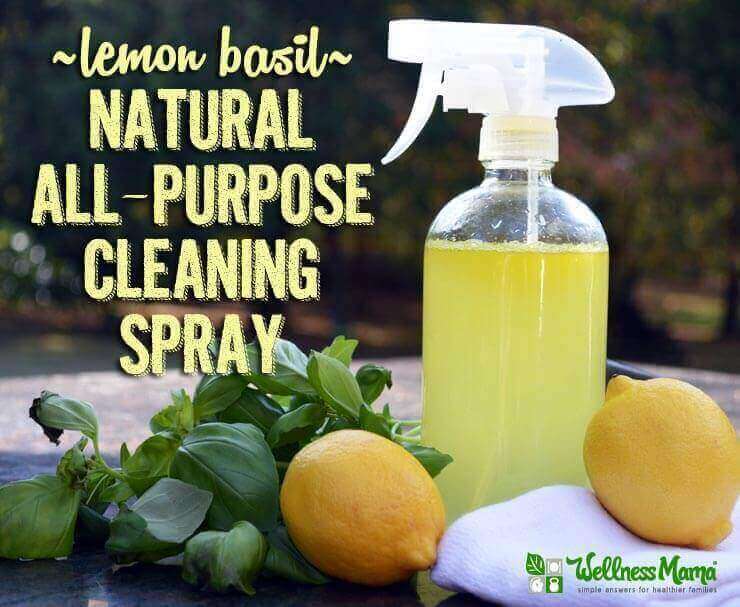 The vinegar smell will disappear once the spray dries and only a faint scent of lemon and basil will remain. 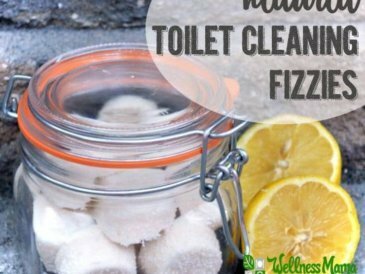 What do you use to clean? Do you let your children help?